View More In String Lines. 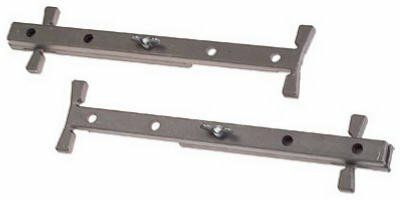 317-01248 Features: -Quick size change with wingnut and handy posts to wind line when not in use. -Block Size: 4 in [Min], 12 in [Max]. -Material: Cast Aluminum. -Type: Line Stretcher. Dimensions: Overall Product Weight: -1 Pounds. Works on blocks from 4 in. To 12 in.